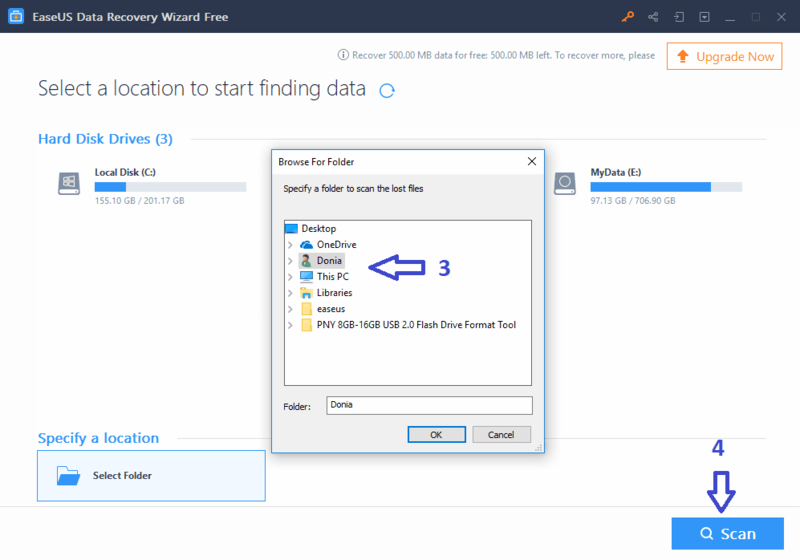 EaseUS Data Recovery Wizard Free 12.0 allows users to recover deleted ,lost and formatted data from any storage device such as USB flash drive , HDD ,External HDD,memory card and more . What is EaseUS Data Recovery Wizard 12 ? EaseUS Data Recovery Wizard Professional v12 is a free data recovery software provided by EaseUS software company .The software provide a very simple data recovery for lost data ,corrupted files , formatted data and restore Recycling Bin deleted files .The free edition of EaseUS recovery software grant access to recover 2GB of deleted files .If you want to have a full data recovery without limits you must buy the full version of EaseUS Data Recovery Wizard 12 . 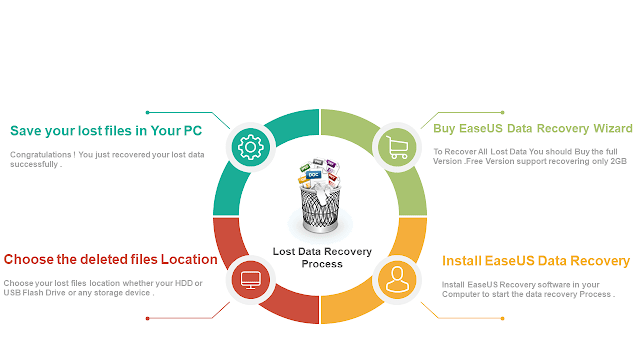 The new data recovery program allows to recover deleted files from many storage devices like your computer hard disk ,Laptop , External drive ,USB pen drive ,SD memory cards and other data storage devices .Easeus recovery application have a simple interface that makes recovery process very fast with high restoration quality . 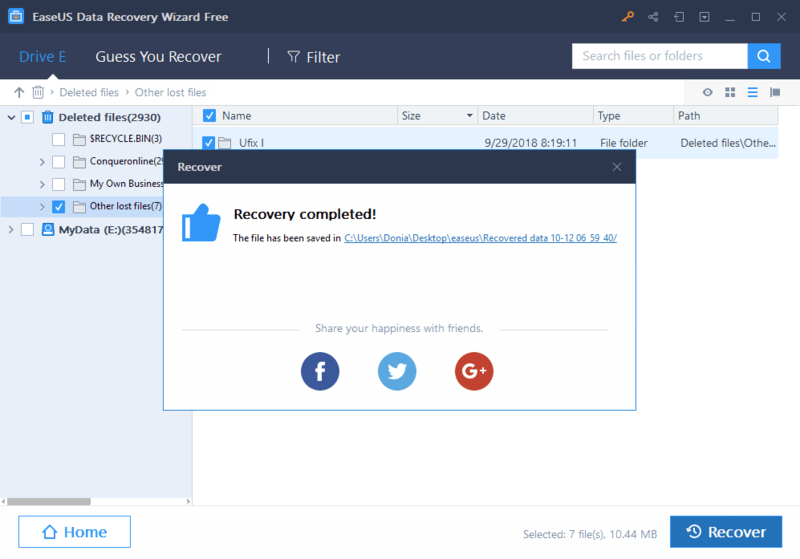 The new version of Easeus Data recovery software makes data recovery very easy just in 4 steps you can recover your lost data successfully .The new version of EaseUS file recovery software provides the following features . Support Lost data recovery of all files extensions such as media files ,Images ,Documents ,programs and more . 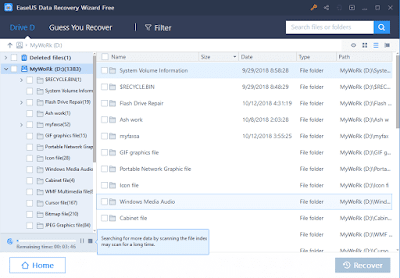 Recover Accidentally Deleted Files and Restore Emptied Recycling Bin . Recover Formatted /Deleted Data files from HDD ,SD cards and USB sticks very fast . Recover data files from damaged /corrupted /inaccessible USB flash disks ,Hard drives and Micro SD . Recover files that affected by a Virus Attack and restore it successfully to your PC . Recover Lost data files from RAW USB flash drives and RAW Hard Drive Partitions . EaseUS Data Recovery Wizard 12 support recovery from the following devices PC/laptop - Hard Drive-External Disk-SSD -USB thumb Drives -Micro SD Card-Camcorder -Digital Camera-Music Player -Video Player-RAID -CF/SD Card -Zip Drive-Other Storage Devices . There is EaseUS Data Recovery Wizard Free 11.8 software for Mac . 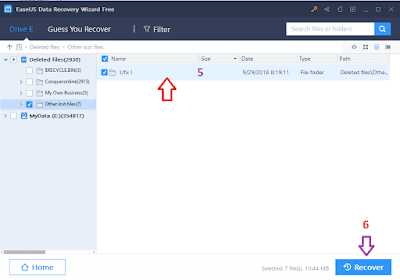 How to use EaseUS Data Recovery Wizard 12 ? To Learn how to recover deleted files from a corrupted USB flash disk or HDD Please follow our Tutorial . Download EaseUS Data Recovery Wizard Professional 12 from this link " Download Free EaseUS Data Recovery Software " . Install the recovery software in your PC . Connect corrupted USB flash disk or SD Memory card or the storage device to your Computer . 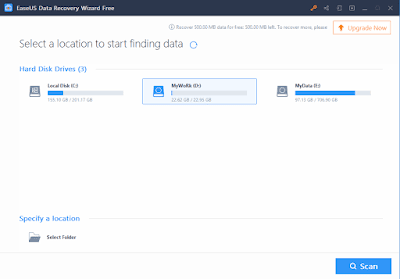 Launch EaseUS Data file recovery software and determine the destination recovery folder location.Choose the data partition or storage device .Click Scan to start scanning the deleted files in your Partition . Now the recovery software will scan all your partition and find your lost images and data . Now click on Deleted files icon then mark all lost files then click Recover . Wait for moments and congratulations ! 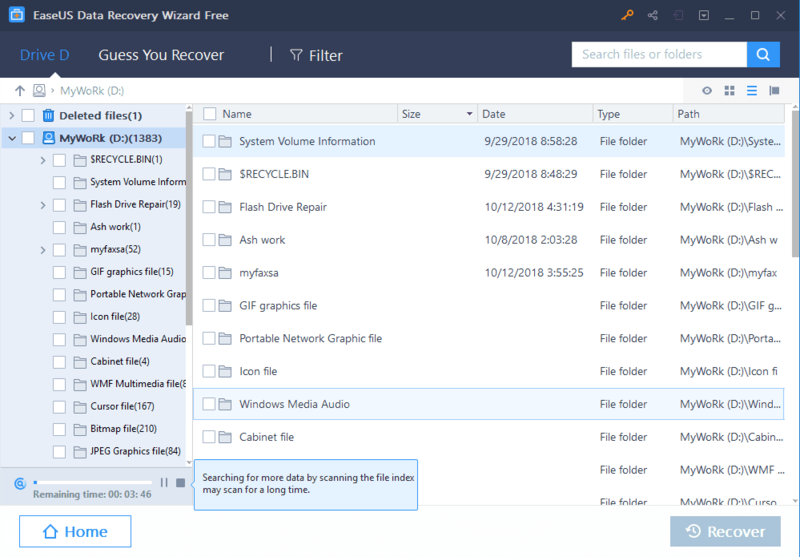 your lost files recovered successfully .You can find the recover files on the recovery folder that you choose before . How to Buy EaseUS Data Recovery Wizard 12 Full Version ? If you have a big loss data more than 2GB so you should buy the full version of EaseUS Data Recovery Wizard 12 .After you purchased the software , you will got EaseUS Data Recovery Wizard 12 serial number key on your Email .Activate your recovery software key and enjoy no limits data recovery .The pro plan removes the data recovery limit and allows you to restore all data you find in while scanning the storage drives. There is two options of payment credit card , Paypal .